For hundreds of years our ancestors called the area between Loch Long and Loch Lomond home. A simple drive through the area teases at their existence as some of the old ruins are still visible. If one were to stop and take a deeper look, one that goes below the surface, a fuller story of our ancestors begins to appear. As with all things, time has taken its toll and has covered their labors and accomplishments. We want to rediscover what time has hidden and history has forgot. To accomplish this, we have teamed up with Northlight Heritage, a well respected archaeological group, to survey and document several important Clan MacFarlane sites. The 2016 season will culminate with a dig on the most promising site. This project will literally unearth our history and provide more information to our incomplete past. Field surveys will be performed at seven target areas that have highest potential within the parish of Arrochar. The survey will include visits to known deserted settlements that have not yet been recorded archaeologically, as well as exploratory surveys of areas where there are no known sites but where there is potential for remains to be located.The structural remains will be recorded through written record, scale drawings, sketches and photographs as appropriate, in accordance with conventional practice in Scotland (see RCAHMS 2011 and http://www.scotlandsruralpast.org.uk/). While the focus of this project is on the period from the 13th to the 18th century, other remains will be recorded if they are unknown in the archaeological record and it is thought that they would contribute to the history of the area. The surveys will be Led by Dr Heather James, of Northlight Heritage, and accompanied by members of the Clan MacFarlane, the local community and members of the Association of Certificated Field Archaeologists. We anticipate the surveys will start in March and will be completed approximately 3 months later. 1. Ardleish, possibly, one of the first strongholds for the Clan. 2. Inverioch House, the last Clan House / Castle. What remains of the house is now incorporated into the Claymore Hotel. 3. Clattochmore, the Clan House / Castle in use at the time of the fighting with the Colquhouns. It’s exact location remains unknown. 4. The almshouse at ‘Croiteaphurte’, built by John MacFarlane in the 16th century. It’s exact location remains unknown. 5. Tynalarach, a set of ruins southwest of Arrochar. 6. Stuc na Cloich (The “Black Village”), local legend says this is where those afflicted with the plague were quarantined. 7. 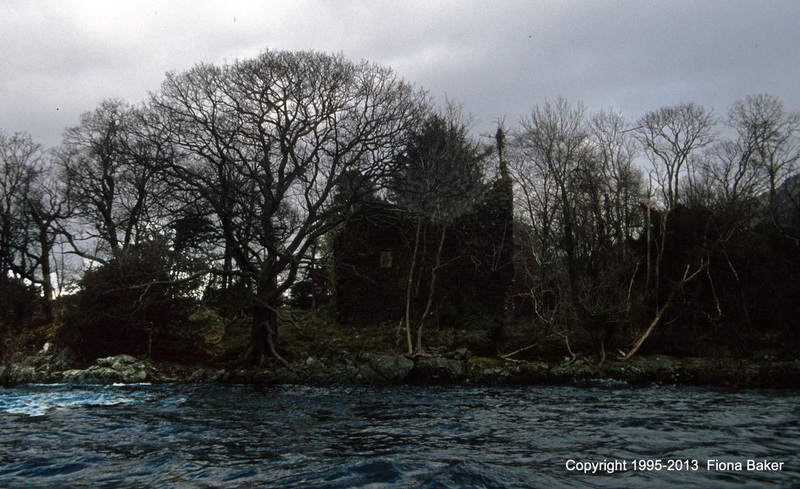 Blarannich, an old settlement along the western shore of Loch Lomond. Periodic progress reports will be prepared as the surveys take place. They will include photographs and simple writeups. These reports will appear on the Clan MacFarlane Worldwide’s website, in the Loch Sloy, and on the Facebook Group page as appropriate. Once the results from Phase 1 have been analyzed, the site with the most archeological value will be selected for excavation. An initial hand-drawn offset plan of the site will be undertaken in order to establish a temporary bench mark and grid points from which all other plans and sections will be related. All excavation will be done by hand and trenches will be backfilled to the pre-excavation level at the end of the excavation. All archaeological features would be planned, photographed and recorded using pro-forma record sheets and digital photography. Plans and sections will be undertaken at a scale of 1:10 and 1:20 as appropriate. Bulk samples will be taken of archaeological deposits that have potential for artefacts or macroplants. The trenches will be dug no deeper than 1.2m. Specific methods may be required depending on the environmental and archaeological sensitivity of the site and these will be addressed when a site has been chosen. The excavation will be Led by Dr Heather James, of Northlight Heritage, and accompanied by members of the Clan MacFarlane, the local community and members of the Association of Certificated Field Archaeologists. The excavation will take place over seven consecutive working days. A brief report on the results of the excavation will be prepared immediately after the end of the fieldwork for submission to the client and landowner. This would be followed by a Discover and Excavation Scotland (DES) entry and a full Data Structure Report which will be completed within 6 weeks. It is thought unlikely that the excavations would produce a particularly rich artefact assemblage, however the Data Structure Report would list all the finds and samples and put forward any further costs for their analysis which would be required to bring the excavation to full publication. If the excavations were particularly productive funding for further excavations would be sought. This report will appear on the Clan MacFarlane Worldwide’s website and in the Loch Sloy. Human remains are not anticipated. However all works undertaken by Northlight Heritage will be in accordance with The Treatment of Human Remains in Archaeology Historic Scotland Operational Policy Paper 5 1997 (2006) and The Conservation of Historic Graveyards Guide for Practitioners 2. Historic Scotland 2001. York Archaeological Trust (trading under the name of Northlight Heritage) has all appropriate public liability insurance. The archive for the project will be deposited with the National Monuments Records for Scotland within six months of completion of fieldwork if no additional post-excavation work is required, or at the end of the post-excavation research programme. The project archive would contain all relevant details in connection with the planning and execution of the project. All finds will be reported to the Scottish Archaeological Finds Allocation Panel through its secretariat the Treasure Trove Unit. All artefacts would be stored temporarily until a decision has been made by the Panel regarding to which museum the finds would be allocated. All work would be carried out in compliance with current Health & Safety at Work Legislation. Risk Assessments are undertaken prior to all fieldwork. Specific issues to be considered would include the use of boats to access sites, disposal of waste and emergency procedures.